Positive Feedback is a Funk/Rap band Featuring Erik and Mark Chevrier, David Huges, Matt Palynchuk and JAY MANAFEST. 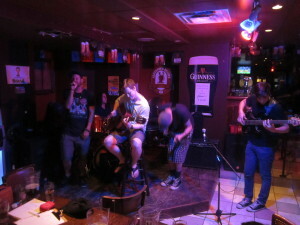 The band formed shortly before running the highly popular open mic called Mic Check at The Bull Pub before it closed. Mixing Funk, Rap and Rock elements, Positive Feedback produces a high energy and diversified sound with a strong political yet uplifting message in the multisyllabic rap lyrics from JAY MANAFEST.